Hardened alloy steel jaws are designed and manufactured to ensure the longest possible blade life. One-step internal cam mechanism provides the quickest and simplest way to keep the cutting blades precisely aligned. Handles and grips designed to allow greater mechanical advantage for crisp, controlled cutting. Bolt Cutters is rated 4.7 out of 5 by 9. Rated 2 out of 5 by Nonya from I used them twice and they already broke I used them twice and they already broke. Are they warrantied? Rated 5 out of 5 by JessiBear87 from Years of use!! My husband purchased these years ago and to date are still as strong and durable as when he got them. Definitely recommend!! Rated 5 out of 5 by woarso from withstands a lot.... Ran over it with my car and still works like new! Amazing! Rated 5 out of 5 by TierraLewis from gets the job done right! Excellent qualty ! This cutter is the best I've had. I will continue buying from y'all. Rated 5 out of 5 by thelowes from Easy to use and very durable. I bought this for my husband to use. He absolutely loves it. Rated 5 out of 5 by JUDITHV from I haven't found anything it won't cut. Easy to use. I like how easy they are to use. Don't have to use much force, cut easily. Rated 5 out of 5 by Jules123 from Very precise The handle design allows for very precise cutting. 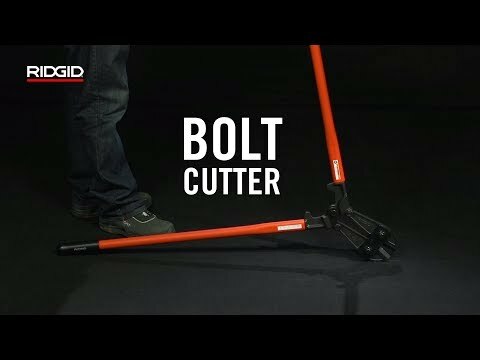 What country are the bolt cutters made in and where?